Mozart started life as a child protégé. His father fashioned him and his sister as genius musicians. From an early age he toured the whole of Europe with them to show them off. In this way Mozart was exposed to the greatest musicians and composers living in Europe at the time. In that era composers was in service of royalty or the church. As Leopold Mozart displayed his children the European courts, not to be outdone by the visitors, princes and kings showed off the talents of composers and musicians they had at their service. In this way Mozart was exposed to the best of European music. There is an idea called ‘The 10 000 Hour of Practise Theory’ that I am very fond of. It says that if you practice for 10000 hours you will be an accomplished musician (or artist or whatever your passion might be). In reality it means hard work for almost 10 years. This was certainly the case with young Mozart. Being on display from the age of five years as an already proficient pianist, violinist and composer, it meant that by age 15 he had more than his share of practicing. Add to this a good tutor (that his father certainly was), daily exposure to new and exciting compositions, travel exposure to all kinds of cultures and regular performances, Mozart must have been one of the best qualified composers ever. With musical genius, training and the exposure that Mozart had it is no wonder that he could perfect the classical style by incorporating musical influences from Italy, France and Germany. He was a prolific composer with more than 600 works in all genres, including chamber music, symphonies, concertos, opera and church music. 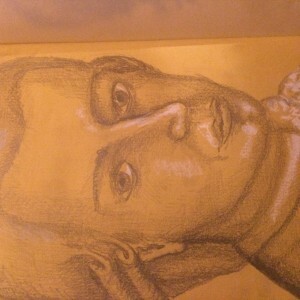 Talent, genius, guidance and perseverance came together in the phenomenon called Mozart. But every coin has a flipside: A child deprived of a childhood like Mozart was to become the worlds’ favourite composers must have long term effects. Wolfgang seemed to always have had an irresponsible part to his personality. It is as if the child was lurking below the surface to come out and play. His use of language, love of parties and the way he spent money all reflected this. Fortunately the playfulness shows in his music as well and that makes it even more enjoyable. Unfortunately his early death deprived us of a wealth of more heavenly music. Just imagine the richness of musical heritage we would have had if this man could continue composing for thirty or forty more years. Most composers only start doing their best work from their mid thirties (When they finished their 10 000 hours of practicing). Our phenomenon already died at 33! May his music live forever!